There are times early on in I am Forbidden when the reader may wonder exactly what is going on and have trouble following the threads of relationship. By the time the family moves to Williamsburg, however, Marouk’s narrative straightens itself out and becomes increasingly engaging. That Satmar society is not one I am familiar with, and it was fascinating to learn more about them through Mila and Atara and their differing views on their faith. Markovits seems to be very respectful of the culture, even when he seems to disagree with some of the specifics – or at least his characters do. As a result, I am Forbidden is filled with genuine emotion and a quiet drama. In I am Forbidden Rosalyn Landor is, as always, fabulous. She brings poise and a quiet dignity to the story, which works very well with the world Markovits creates. 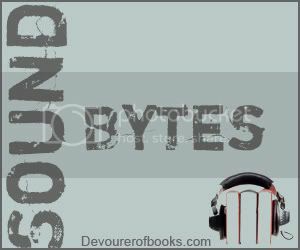 Landor is one of those narrators I could simply sit and listen to for hours, she’s just that good, and I am Forbidden is no exception. 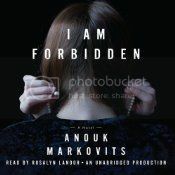 I am Forbidden is a lovely, quiet novel that works very well in audio, largely thanks to Rosalyn Landor’s performance. Recommended. I have a print version of this one I’m looking forward to reading — sounds very powerful. This book has been eyeing me from my to-read pile for awhile now. For some reason I keep forgetting about it when I go to pick my next book. Definitely moving it a little closer to the top. Oh this one sounds interesting. I listened to The Diana Chronicles narrated by Landor and enjoyed her a lot. Might have to give this one a try. I’ve seen reviews for this one, but I’m glad to read your audio review because I would probably want to listen to this one.